Featherweight contender Claudio Marrero made quick work of Carlos Zambrano. Literally. Marrero knocked Zambrano out in the opening round Saturday night at Sam’s Town Hotel and Gambling Hall in Las Vegas. Marrero improves to 22-1 (with 16 knockouts), while Zambrano falls to 26-1 (with 11 KOs). 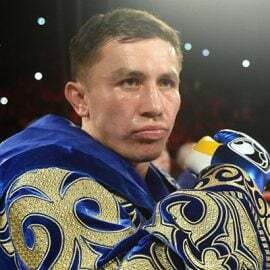 The fight was originally scheduled to take place in February but was postponed until April to make sure working visas to enter the U.S. were secured. Zambrano had not fought since August of 2015. Marrero, who resides in the Dominican Republic, had won his previous seven bouts since losing to Jesus Cuellar in August of 2013. The southpaw Marrero quickly closed the gap early in the opening round. A counter left cross to the head dropped Zambrano to the canvas. Zambrano, who recently signed a promotional contract with Mayweather Promotions, struggled to stand up as referee Vic Drakulich counted him out at 1:30. In the middleweight co-feature, hard-hitting Nathaniel Gallimore (18-1, 15 KOs), of Chicago, stopped Jeison Rosario in the sixth round. The fight was competitive between the two combatants until Gallimore hurt and dropped Rosario (12-1, 9 KOs) three times in the sixth round. 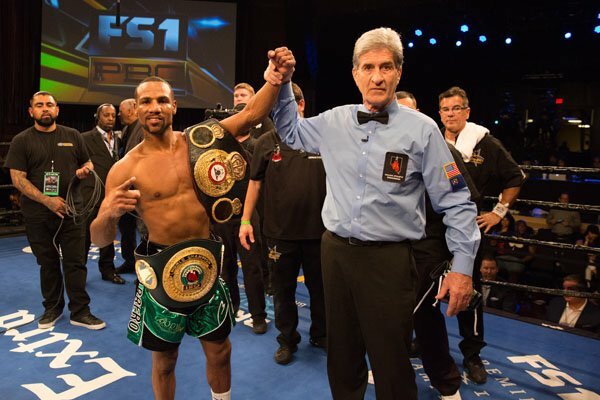 After Rosario, who is from the Dominican Republic, went down for the third time, referee Jay Nady stopped the bout at 2:15. 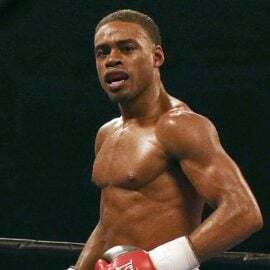 In a junior welterweight bout featuring once-beaten prospects, Ladarius Miller (13-1, 4 KOs) stopped Jesus Gutierrez in the eighth round. 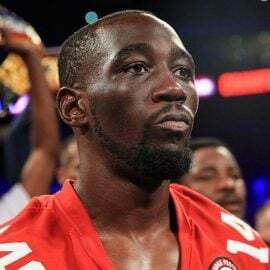 The shorter Gutierrez (14-2-1, 4 KOs) found success getting inside the southpaw Miller’s guard, connecting with an array of combinations to the head. 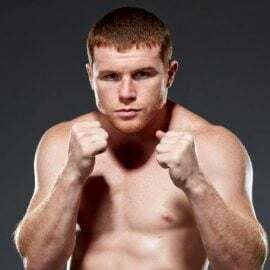 Both fighters traded vicious combinations in the seventh round and, although Miller looked tired early in the eighth round, he mustered enough strength to hurt Gutierrez with a left hand to the head shortly afterward. Miller followed up with a barrage of punches until Gutierrez went down in a corner. Referee Russell Mora immediately waved the fight off at 2:34. Welterweight Juan Heraldez dropped Alfonso Olvera (8-4-1, with 3 KOs) in round one, en route to an eight-round unanimous decision. Scores were 78-73 twice and 79-72 in favor of Heraldez, who goes to 12-0 (with 8 KOs). Two-division titleholder Layla McCarter (39-13-5, 10 KOs) stopped Szilvia Szabados (16-10, 7 KOs) at 56 seconds of round seven. Super middleweight Ronald Gavril (18-1, 14 KOs) stopped Decarlo Perez (16-6-1, 5 KOs) in the fourth round. 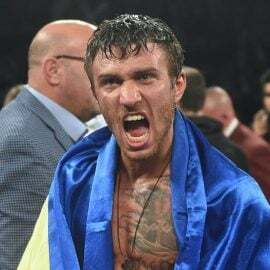 In a clash of unbeaten of unbeaten super middleweights, Kevin Newman II (7-0-1, 3 KOs) stopped Pablo Velez (7-1-1, 5 KOs) at 2:19 of the opening round. Francisco A. Salazar has written for RingTV since October of 2013 and has covered boxing in Southern California and abroad since 2000. Francisco also covers boxing for the Ventura County (California) Star newspaper, BoxingScene.com and Knockout Nation. 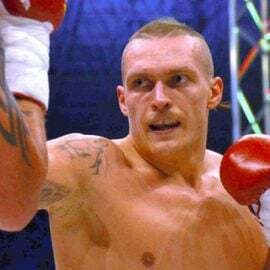 He can be reached by email at [email protected] or on Twitter at FSalazarBoxing. 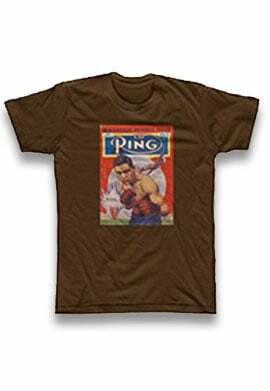 You can subscribe to the print and digital editions of THE RING Magazine by clicking the banner or here. You can also order the current issue, which is on newsstands, or back issues from our subscribe page. 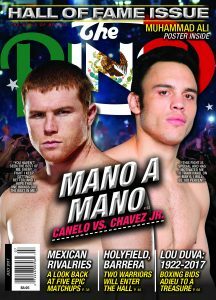 On the cover this month: Canelo vs. Chavez Jr. – Mano A Mano.